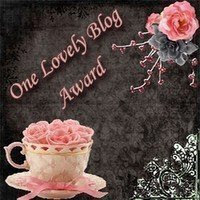 I received this award from Veronica Lee of Of Mice and RaMen, the sweetest blog-buddy. She's a proud mother of 2 boys from sunny Malaysia. Her posts are just fun, enjoyable and inspiring. If you haven't checked out her blog, please do so. It'll definitely put a smile in your face. I'm passing this award to all my blogger buddies whose blog bring so much joy, laughter and inspiration. And on this same day, I decided to motivate myself to be fit! We all have a very hectic schedule. Most of our day is spent attending to the needs of our family. However, a mom can still take 30-45 minutes a day of “me-time” to stay fit. The number one obstacle in starting to get fit is “how to be motivated”. 1) Take a “before” picture. Do you like what you see? 2) Do you feel like you don’t have energy during the day? 3) Do you feel depressed or just “blah” ? 4) Do you like how your clothes fit? If your answers are not what you want to look or feel like, then it’s time to take some action! And don’t feel bad when you also want to look great and not just work out for “health” reasons! Most mothers and women join gymns together. There are those who sign-up to “fun run”, walk-for-different causes, triathlon, and marathon. Sometimes all you need is a little push to start working out. I can’t swim or ride a bike and not a really good runner at this point in my life, so I have to start working on getting my body fit. I would love to join my friends and run the Avon Walk for Breast Cancer, or More Fitness Marathon and Half-Marathon (open to women 40 and up) or NYC Marathon. I just have to catch-up with my 8yo. This week, my main motivation is to fit back in my summer clothes and to be able to run after my 8yo. Every day our walk/run to school, I noticed that I’ve been running out of breath. My family has a history of heart condition. My youngest is only 8 and I have to be fit and healthy to play and have fun with him. I stumbled into Power 90 after I gave birth to my 8yo. I tried everything but this DVD fitness program worked for me. If you don’t have any fitness program, pick one and just try it and see if it will work for you. “Life with exercise creates a completely different journey than a life without it. Making the time for exercise means that you're setting an intension to have a great life. Life without exercise means you're setting an intension to miss out on a better life. The quality of your life improves with exercise and it will get worse without it. Period! Your weight lost is a minute piece to the overall health and fitness puzzle. Every time you exercise you improve your fitness, healthy and quality of life. You always feel good afterward and you allow your mind and body to become less vulnerable to illness and injury. Every day you decide NOT to exercise your health, fitness and quality of life diminishes. You become more vulnerable to illness and injury and the energy and enthusiasm (feeling good) for a better life is not there. This is true for everyone. No exceptions. So I’m off my “writing” obsession and into my den to do a 40 minute Cardio-and-AB ripper workout. Ab ripper... that sounds like something I need to get into... ;-) Happy work out! Thanks for the mention and Happy Work Out!! I also work out at home and have an array of dvds I use. I like Karen Voight because she has such organized videos, a calm voice, challenging moves, and I come away feeling much more fit than when I started. I love her Yoga Power and Streamline Fitness dvds. I also like ones from The Crunch. Sarah Ivanhoe is an excellent yoga trainer from The Crunch workouts. I can't take listening to Denise Austin -- annoying voice. I will check out the one you listed. I'm always looking for new workouts. Thanks for putting this in perspective. It's not just about looking good but overall feeling of well-being. I think exercise affects EVERYTHING in our lives. Thanks so much for the award Jen, I absolutely love it, you are such a wonderful person, I hope you have a wonderful day!